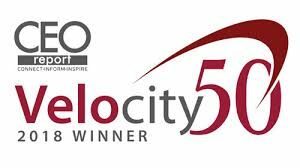 PHILADELPHIA (PRWEB) MARCH 13, 2018: J2 Solutions, a leading technology services firm, announced today that it was awarded the 2018 Velocity50 Award, CEO Report’s most prestigious award program of the year. J2 Solutions joins the Philadelphia region’s fastest growing companies whose dedication and drive have created successful organizations that will impact the region’s economic landscape for years to come and serve as an example to others. “We are proud to be consistently recognized for our growth and industry leadership,” said Sanjay Khatnani, co-founder and managing partner of J2 Solutions. “Our robust culture is demonstrated by our ability to consistently deliver quality and service that not only delights customers, but also positively contributes to the local community,” added co-founder and managing partner, Vijay Khatnani. “Philadelphia is home to some of the country’s most innovative companies. This year’s winners have experienced exponential growth over the past three years and are well positioned to keep doing just that,” said James McDonald, president and CEO of CEO Report. Winners were celebrated at an awards gala on Mar. 1, 2018 at the Ballroom at the Ben in Center City, Philadelphia. The event was sponsored by Meridian Bank, American Heart Association, Solvix Solutions and David Howarth Photography.